Randy Wolcott started NorthStar Real Estate Advisors, LLC in 2012 after fifteen years with ProVenture Commercial Real Estate. He founded ProVenture (formerly Industrial Real Estate Services) in 1997 after eleven years as an industrial specialist at CB Richard Ellis. As ProVenture grew, the company expanded its corporate real estate services to include office, industrial, retail and investment services. In the spring of 2002, ProVenture acquired the Nashville office of Dallas-based Trammell Crow Company. 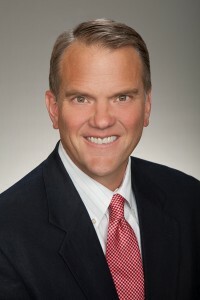 Over the last 10 years, Randy has been a leading provider of real estate services for companies of all sizes, in a variety of markets across the country, completing over 64 million square feet of sales and leases valued at more than $1.2 billion. He has also been part of a development team responsible for developing, leasing and investment sales on more than 8 million square feet of Class A distribution space. Education: Randy has a BS degree in business administration with an emphasis in finance and marketing from the State University of New York at Buffalo.